Before taking any insurance policy for your house or your roof it is important that you have a look at the coverage provided by the policy. Most of the policies give prime importance to roofs and make sure that roof replacement, installation and repair are all covered in your insurance policy. It is important that you take professional help before finalizing any insurance policy as experts can give you proper recommendation to get the best coverage. Instead of regretting at a later stage it is important that you take the right step at the right time. You can contact us and we will help you get the best policy that can help you out during your times of need. Though the question still remain hangs whether your insurance company shall consider your claims seriously or not. It mainly depends on the causes of your roof damage. If your roof gets damaged due to natural circumstances like storm, cyclone which are mentioned in your insurance policy then you will be qualified for obtaining claims for the replacement or repairing services of your damaged roof. But it would be hard to obtain claims if your roof gets damaged due to other unexpected circumstances which are not mentioned in your insurance policy. The problem does not end here. Many insurance firms do not agree to pay the legitimate amount of their clients without inspecting the condition of the damaged roof through their official representatives. But such representatives have no experience in the roof repairing and it will be quite hard for you to satisfy them. Besides they will also not understand even after thorough inspection whether your roof requires repairing or replacement. In such scenario just allow us to have a conversation with your insurance representative and we shall explain it to them in detail so that you can obtain your claims easily from them. Another factor that depends on the chances of obtaining the claims is the age of your roof. 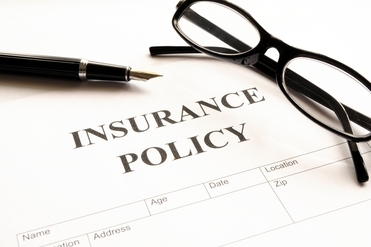 Your insurance policy may specify the age criteria of your roof for replacement and repair. It implies that if your residential or commercial roof is of ten years and more then you will be considered eligible for obtaining your legitimate claims. But if your roof is a new one then it will be difficult to obtain the entire claim as mentioned in your insurance policy. The problem also aggravates while considering the extent of damage of the roof. Your insurance company in the pretext of minor damage can give you little amount from your actual claim to bear the expenditure. But we will not allow to happen it. Our specialized workers shall help you to file the supplemental claim if the cost to repair or replace your roof is much more than the original quote. It is obvious that every residential or commercial roof will deteriorate with the passage of time. So it is better to carefully read the insurance policy so that you can obtain your claim quite smoothly while in need without any difficulty.